Interior Minister Prince Abdulaziz bin Saud bin Naif bin Abdulaziz's denial comes 11 days after Mr Khashoggi was last seen entering the consulate, BBC reports. Turkish sources allege he was then killed by a team of Saudi agents. A Turkish security source told the BBC that officials have audio and video evidence proving the killing. 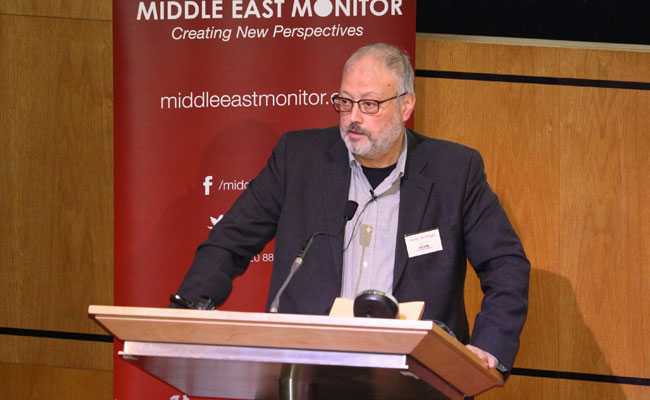 Saudi Arabia has maintained the journalist, a critic of the government, left the building shortly after arriving on 2 October. The interior minister said on Saturday the kingdom was keen to uncover "the whole truth", according to the official Saudi Press Agency, stressing reports "about orders to kill" are "baseless". UN Secretary General Antonio Guterres told the the BBC's economics editor Kamal Ahmed he was "worried" by Mr Khashoggi's disappearance, especially as incidents like this were becoming the "apparent new normal". "It's absolutely essential to make sure that the international community says clearly that this is not something that can happen," he said. Mr Guterres added it was important to establish "exactly what has happened". Mr Trump told reporters on Friday that he would call Saudi Arabia's King Salman to discuss "the terrible situation in Turkey", news agency AP reports.